Inland from the head of the Gulf and on the Karun river, Ahwaz was where the overland route to Isfahan began. The consulate opened in 1904, but remained in mostly wretched leased premises until 1946. 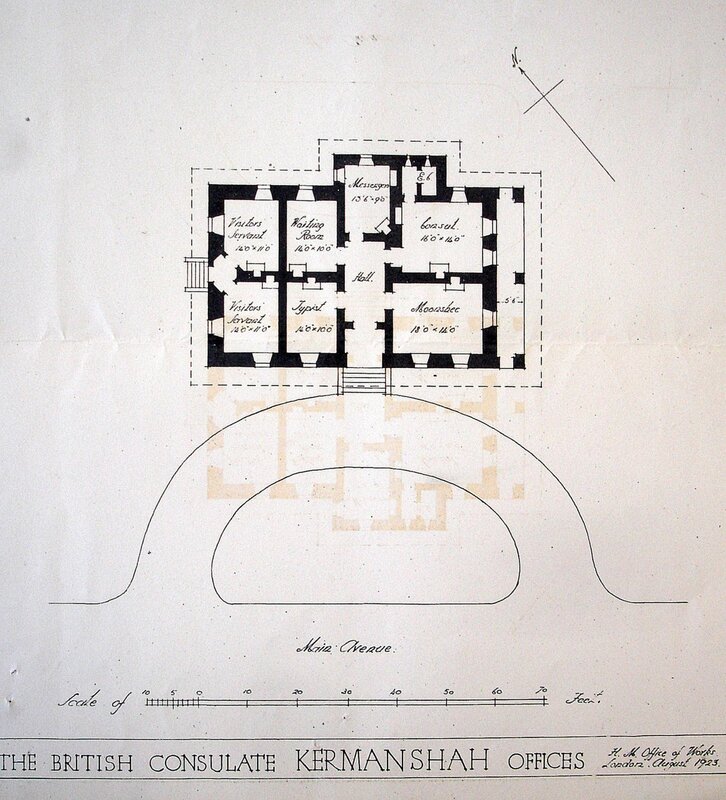 Site negotiations for a new site, comprising four pieces of land in Khayyam Street, on which to build a consulate began around 1940 but clear title was not obtained until 1946. Outline plans were agreed with the Foreign Office in that year 1946 but increasing costs and changing requirements caused further delay and approval to proceed was not given until 1949. Work started at the end of that year, and was completed in mid-1951. Part of the compound was sold in 1959, and the rest in 1967. Ahwaz compound under construction, here seen from roof of consul’s house, 1950. On the Strait of Hormuz. The consulate opened in 1900, and a site of just under 3 acres was granted in 1903, on which buildings were completed in1905. The consulate closed in 1947 and was sold in 1949 to the Iranian Ministry of Health. In the east. The consulate opened in 1909, a site was bought in 1914 but ?? was never developed. 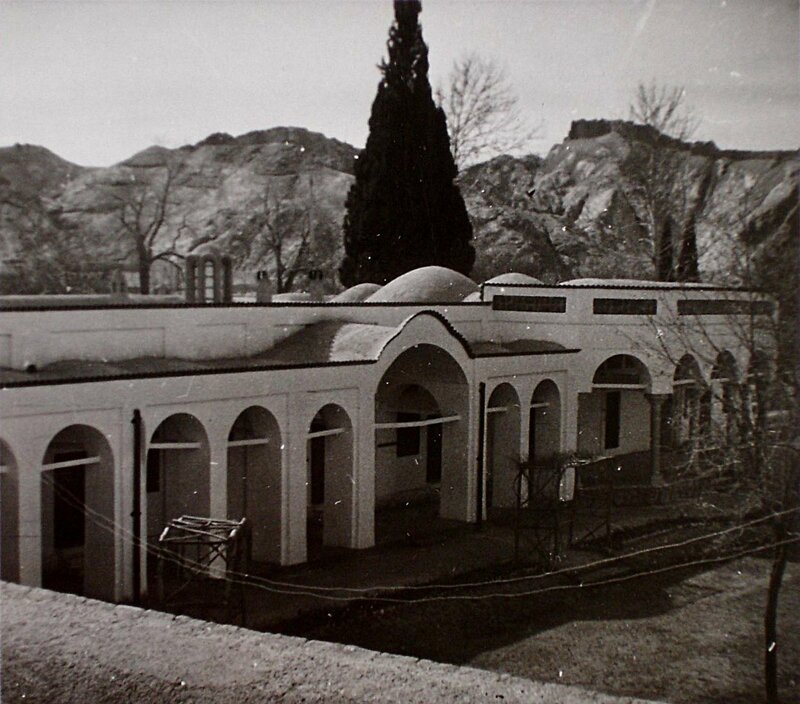 The Post closed in 1947, and the site was sold in 1948 to Amir Mazum Khozeimeh. Between Resht and Ahwaz. Despite Foreign Office pressure for the erection of buildings, a consular site was not bought until 1927, from the Imperial Bank of Persia. Buildings occupying about half of this site were completed in 1929 at a cost of about £11,500 and the surplus land of about 3 acres was sold to the Ottoman Bank in 1930. The post closed in 1932, and the premises were first sublet to a Mr Williams, a British businessman, and then to the Anglo-Iranian Oil Company. The British military authorities took over the compound in 1941 as a local headquarters and remained until 1944 when the consulate was re-established, only to be closed again in 1947. Sale to the Imperial Ministry for Public Education was completed in 1952. On the caravan route north from Bandar Abbas. The consulate opened in 1894.Three acres of land with buildings were bought from Agha Mirza Hussein Khan Isfandiari in 1928 [?were they rented before then]. 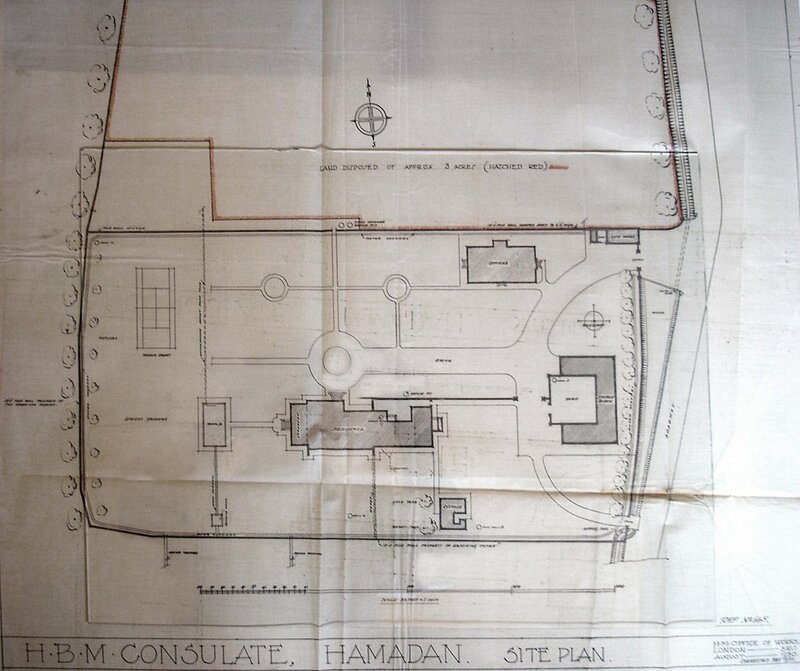 The consulate closed in 1947 and the premises were sold to the Anglo-Iranian Oil Company in 1949 for £7,000. Main gate to compound, ? date. On the trade route between Baghdad and Tehran. The consulate was established in 1904. An 87-year lease on an eight acre site was bought in 1907 and transferred from the Government of India to the Office of Works for maintenance in 1909. Buildings were erected around 1913, but the consular house was destroyed during the occupation of the town by Turkish forces in 1917. A new consulate was completed in 1926 at a cost of about £12,000. Post closed in [? ]: the Swiss reported in 1953 that all was in good order, though very dusty. The balance of the lease was sold in 1959 for just under £100,000. 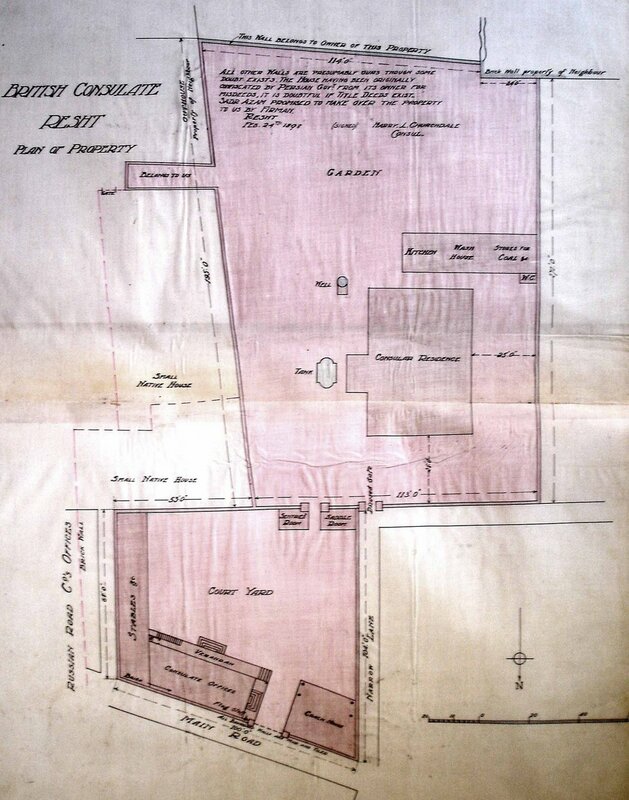 Plans for consular residence, c.1913. 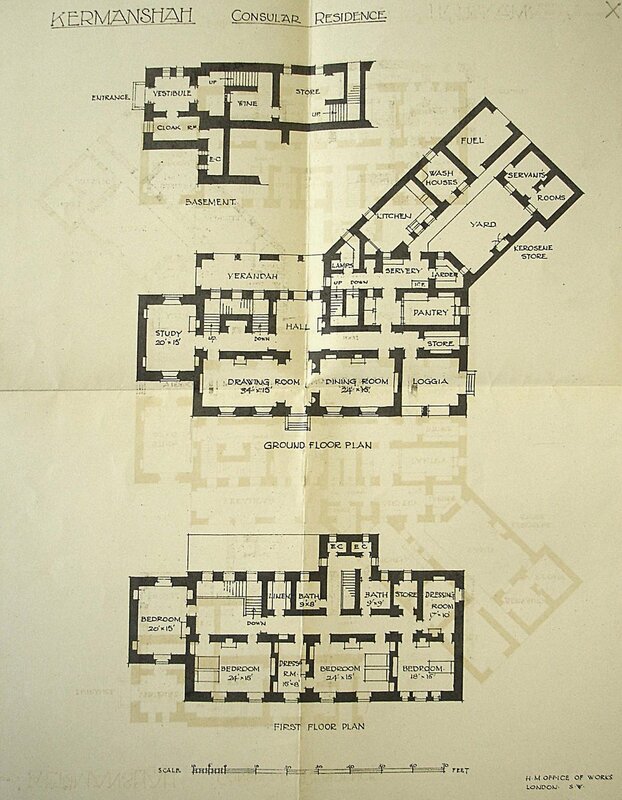 Plan for new consulate offices, 1923. Close to the Iraq border, north-west of Abadan, a vice-consulate (formerly Mohammerah) responsible to the Ahwaz consulate. Established in 1880, and did not re-open after 1952 (although its last premises, at 3 Avenue Pahlavi, formerly 3 Customs Road, continued to be leased until the late-1960s). About fifty miles west of Zahedan. The consulate opened in 1898, and land was bought in 1903. The Post closed in 1947. On the Caspian coast, roughly equidistant from Tabriz and Tehran. A consulate was established here in 1857, as a direct consequence of the Treaty of Paris, in premises leased from the Persian government. This building was bought around 1898 and additional offices built for the consulate. A firman of 1899 [check date], over the Shah’s signature, says: In consideration of the utmost friendship existing between the Persian and English Governments, the comfort of the representatives of the latter must be considered. We therefore granted the Government building at Resht, which is at present the English Consulate, in return for the sum of 2,000 tomans, so that it may be used by the British Consuls from this year, and they may repair it according to their tastes and not suffer inconveniences. This consulate was gutted by fire in 1918 in an attack by the Jangalis, who were rebelling against the Shah’s government. Although it was made habitable again, the vice-consul remained in the temporary premises he had leased and the house was let instead to a Cossack officer. The Bolsheviks occupied Resht in 1920 [? for long]. The Post closed in the early 1930s and the property was let to the Imperial Bank of Persia: it was sold in 1936 for about £750. 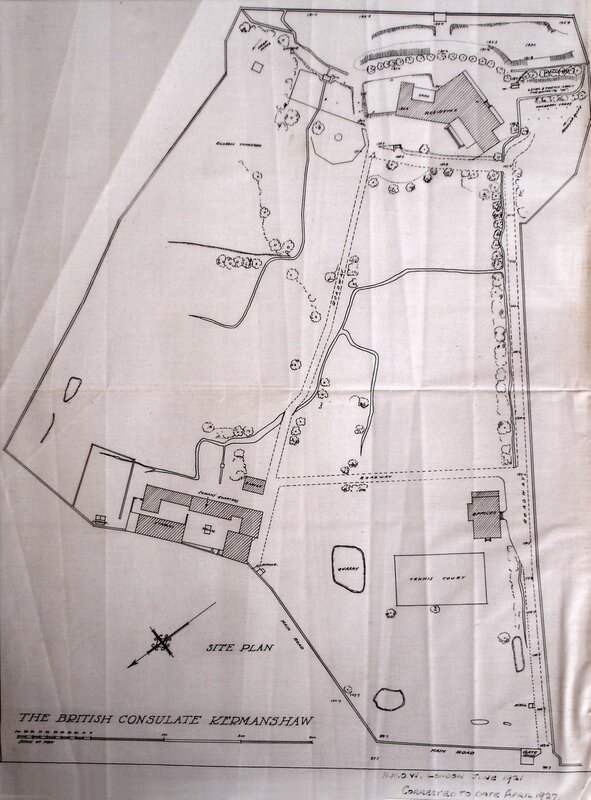 Plan of compound, with bought residence at centre and built offices in the yard at bottom. c.1900. 20 acre site acquired 1903, buildings completed 1905. The consulate was closed in 1947 and the premises sold in the early 1950s. 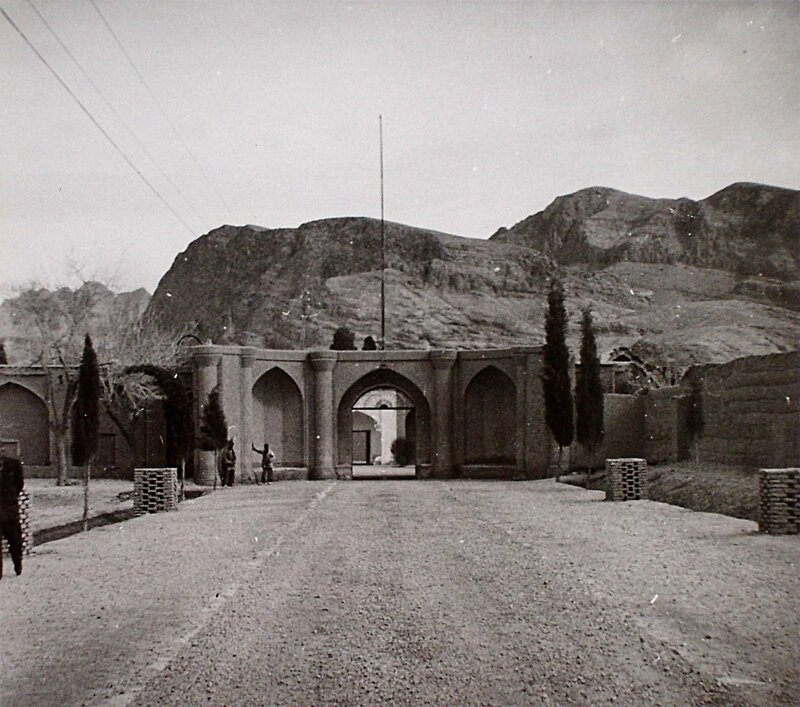 Various other small consulates had fleeting existence, all in leased premises, and all were gone by 1947: Asterabad (open 1879-83); Bam (opened 1906); Bandar Lingeh; Qazvin; Qasr-e Shirin; Sultanabad/Arak; Torbat-e Haidari; and Yazd (opened 1893).